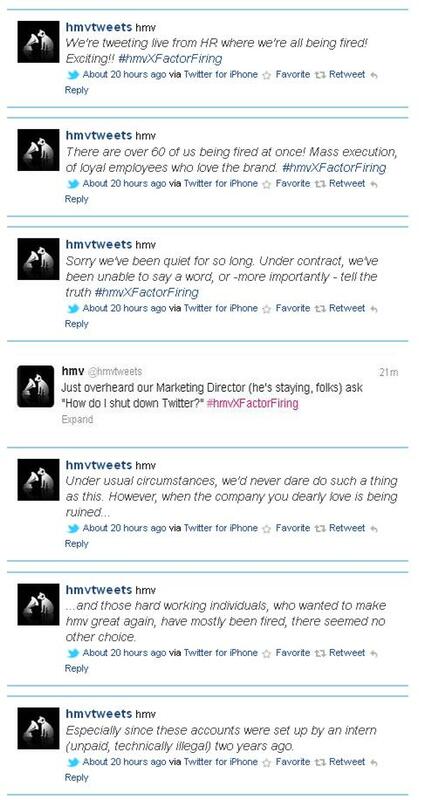 Following her ‘off message’ tweets on @hmvtweets, Poppy took to her own @poppy_powers account to reveal that yet another ‘big brand’ has left its social media presence solely in the hands of a single junior staff member (Poppy set-up the account while an intern), with senior management apparently taking no interest in the changes social is bringing to the way organisations and businesses communicate with their customers. Is it any wonder that HMV missed the internet boat and is now in administration with this attitude to change? This entry was tagged Social Media, Social Media Fails, Twitter. Bookmark the permalink. ← The Oscar nominations are out – socially enabled of course!